Becoming a retail, restaurant, resort, or winery Partner with me and The One. 1. Performance with all wines – The shape really does optimize all wines and beats grape-specific stems even with the grape they were designed for. I have benchmarked The One’s performance against other top quality stems for over 5 years now and encourage you to do the same and discover for yourself. 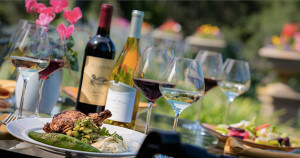 Whether you are a winemaker, restaurateur, resort, or wine merchant, you care deeply that your guests and customers get the most out of their wine experience. The One makes that happen, without excessive cost or breakage. 2. Price/Value – As a sommelier for years in urban fine dining, I know the importance of top quality for an affordable cost. I partnered with Stolzle in Germany to create The ONE design as a European lead-free crystal one-piece pulled stem. This eliminates the common break-point between stem and bowl of the two-piece construction of most of the similar-quality wine glass brands. As such, my restaurant customers report much lower breakage versus other stems they have tried. To avoid costly overhead, I import and sell direct so there is no “middle man”. My distribution centers in California and Kentucky allow for cost-effective, timely shipment turnaround, and for large orders, I have access to competitive rates for less-than-truckload shipping. To minimize breakage, both the branded retail packaging and the unbranded wholesale packaging are the highest quality. 3. Exclusivity – Because I am personally involved in each partnership, distribution and use of The One will always be limited. It is also important to me that The One only be used or sold by partners who really care about providing an excellent food and wine experience for their guests and customers. 4. Practicality – For your staff or for your retail customers, the fact that The One is break-resistant and dishwasher safe is key. As a mom and a somm, this was critical to me. 5. Beautiful – Although the shape is purely based on characteristics that optimize the wine, I think they turned out to be unique and beautiful. I hope you agree. 6. Service – Ordering is convenient, right on this website via username and password which accesses your wholesale pricing. I am personally available to help with any need. 7. Co-promotion – If you are supporting The One, I want to support you! Co-promotion typically involves, at its simplest, a mention of The One on your wine list. In return, I promote you on my website with a link, images and a write-up. I also look for opportunities to support you through events and in social media. Partnering with me on The One can be a lot of fun and create a lot of value. Thanks again for your interest and I look forward to discussing potential partnership with you! How did you hear about The One? Order your Stems online and have them shipped to your door. Here are some of the coolest things in food and wine. Join me at some great food and wine events.